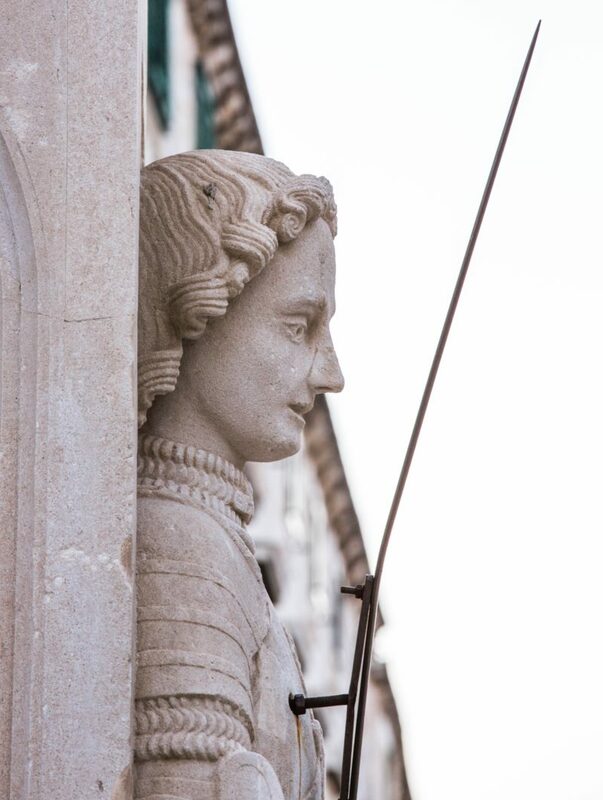 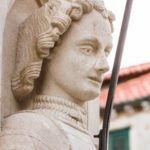 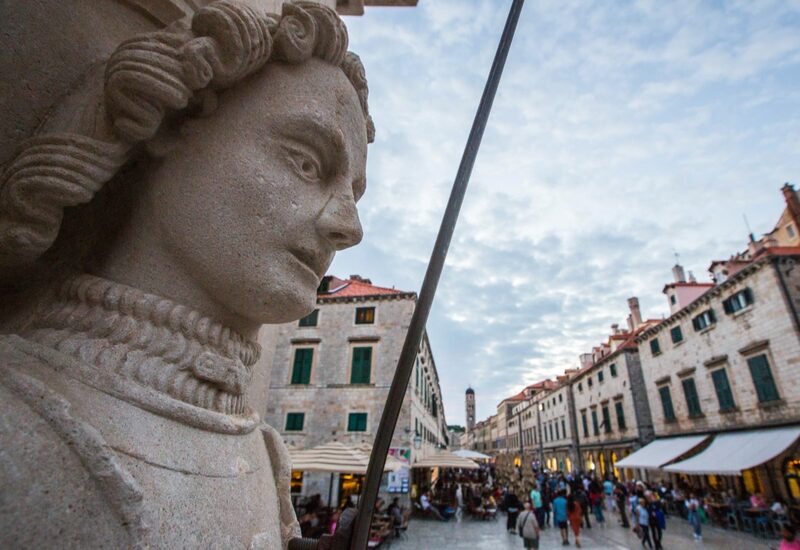 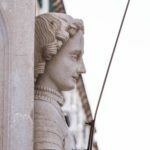 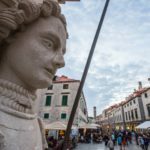 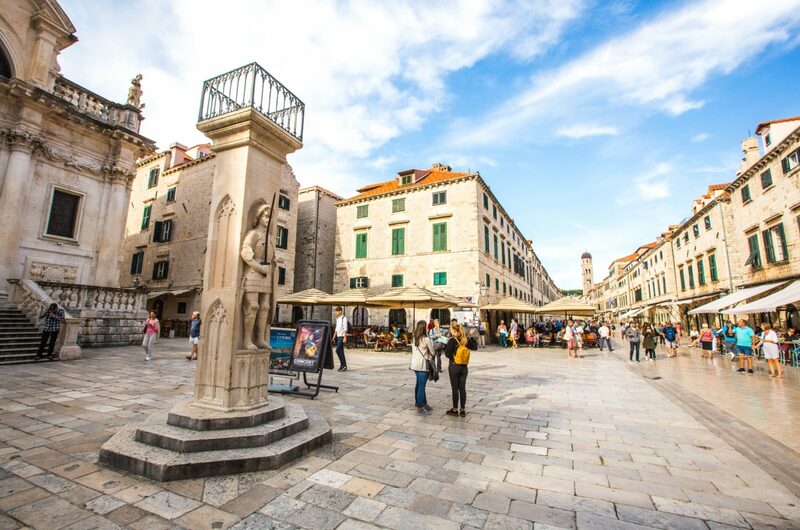 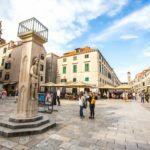 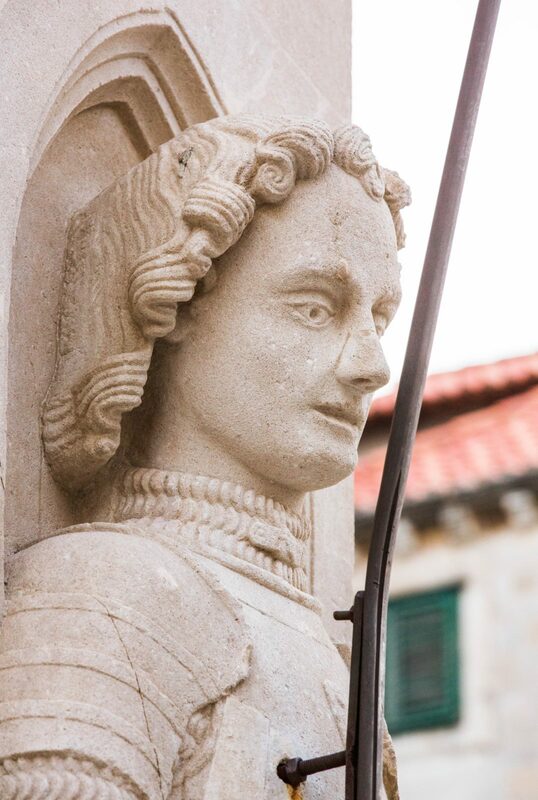 Orlando’s Colum was built in 1419 by Bonino da Milano as a symbol of freedom and the Republic of Dubrovnik gave the statue a central place in public life. 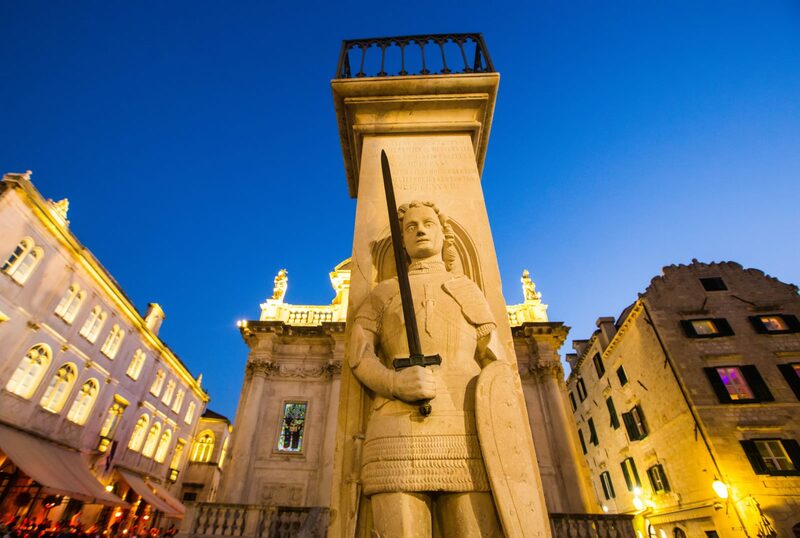 Government decisions were announced in front of it and the length of Orlando's right arm from hand to elbow (51.2 cm) was a measure of length (the “Dubrovnik elbow”). 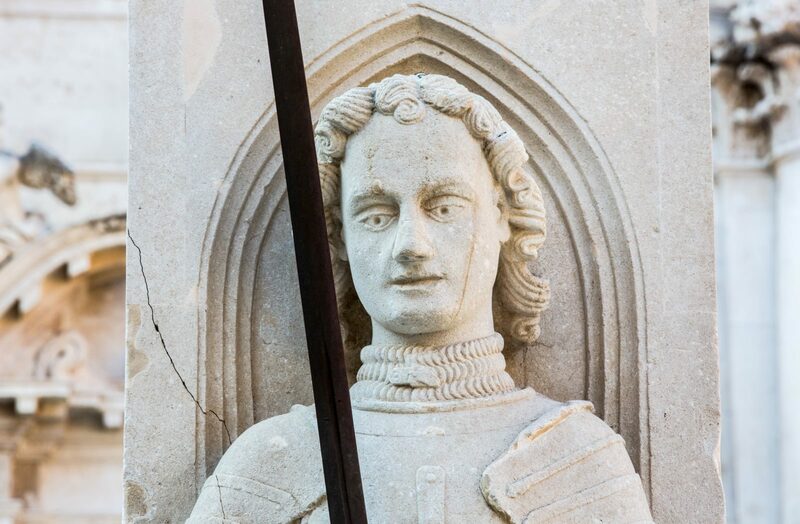 At the same time, the statue served as a venue for punishment and a pillar of shame. 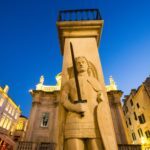 Orlando’s Column is a symbol of statehood that carried flag of the Republic of Dubrovnik and that today bears the flag of the Republic of Croatia. 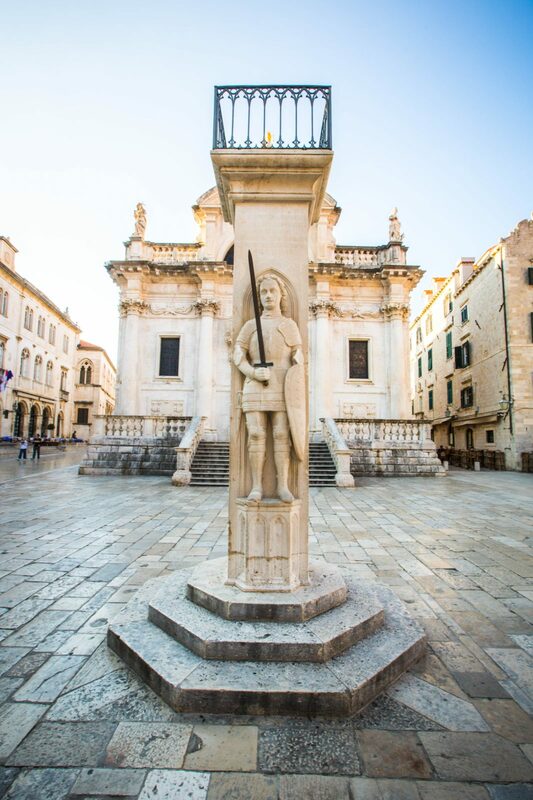 During the time of the Festivity of Saint Blaise, which celebrates the Patron Saint of the City of Dubrovnik, Orlando’s Column carries the flag with the saint’s likeness, while during the Dubrovnik Summer Festival it carries the festival flag bearing the word LIBERTAS (liberty). 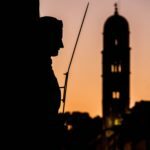 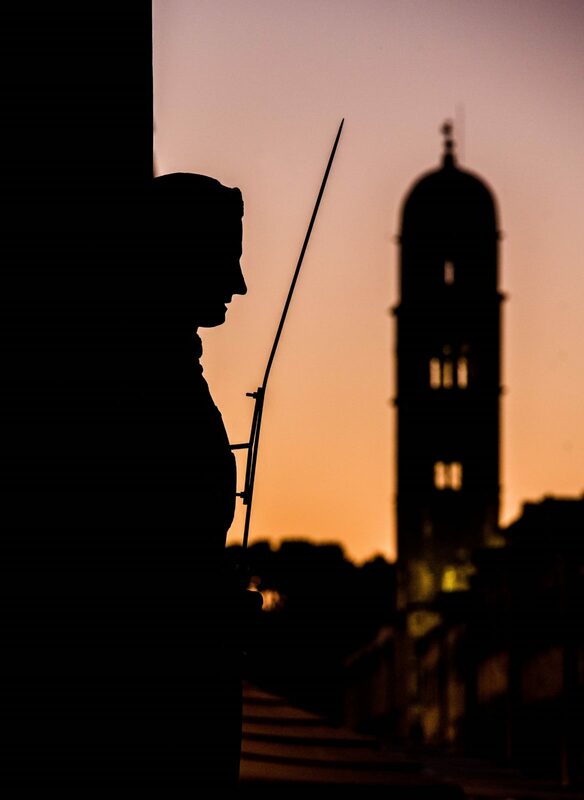 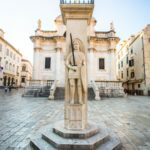 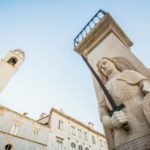 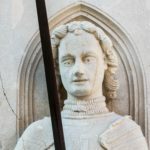 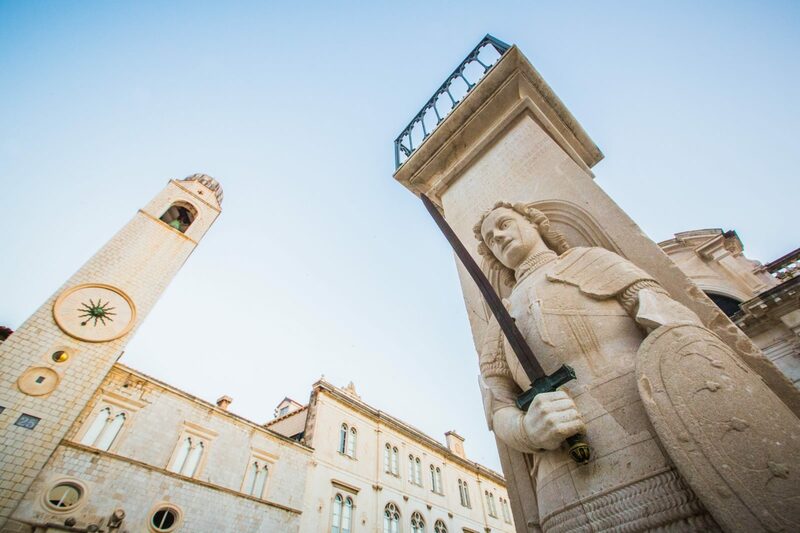 Marking the 600th anniversary of the installation of Orlando's Column, the City of Dubrovnik proclaimed 2019 the "Year of Orlando".